To understand Google Plus and Circles better, go to the settings gear to settings ---> Profile and Privacy. Look for "See how your profile looks to other users". Type in a user name from different circles and you will be able to see how your information is shared according to those circles. A front-end to Google Search, enabling user to identify topics they might be interested in sharing with others. “Featured interests” Sparks are also available, based on topics others globally are finding interesting. Used to facilitate group video chat (with a maximum of 10 people participating in a single Hangout at any point of time). However, anyone on the web could potentially join the 'Hangout' if they happen to possess the unique URL of the Hangout. Google+ App or Mobile Optimized Website For Low End Smartphones. Download the Google+ mobile application from the Once you launch the application it will ask the account you wish to sign in with, select the account. Download App From Android Market. 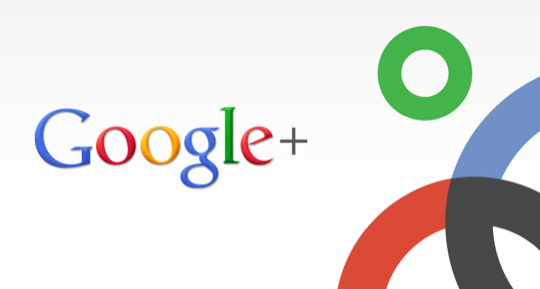 Google+ mobile app -- Launch Google+ on your phone, press the menu button and go to Settings. Enable or Disable notification/vibration/ringtone for Google+ and Huddle notifications. Google+ (plus.google.com) -- Click the ‘Options’ cog in the top right hand corner of the screen and select ‘Google+ Settings’. Under ‘Set delivery preferences’, add your mobile number and choose Push Notifications or SMS Notifications. Then in the ‘Receive Notifications’ section, choose which notifications you would like to receive by selecting the checkbox in the phone column for each item. @Mayank Sharma or +Mayank Sharma ➜ +Mayank Sharma (press @ or + to link to a person in a post or comment) but they must be a google plus member for this to work otherwise the hyperlink of their name just turns into plain text. After you post, click the little drop-down arrow (▽) in the upper right of the post to disable comments or disable re-sharing (i.e., for things you don't want to spread beyond your specified audience). While moving through posts using ‘j’ (next post) and ‘k’ (previous post), you can start a comment by pressing ‘o’ followed by . You can submit the post by pressing . You can cancel the post by pressing .